The first half of the 20th century gave way to a multitude of musical styles that makes up the base of all modern music. What once was folklore, the voice of a people and racial pride, matures and is eventually categorised as art. These styles were born and grew in europe as well as in the americas - the blues, jazz, tango and swing - they all went on similar paths, close but separate. S.H.I.N.E is synonymous of swing; an elegant swing, honest, warm and distinct. Capable of calling forth with surprising ease the the sounds of a bygone epoce where music was the protagonist on the radio, clubs and dance halls. S.H.I.N.E. have their own sound that makes the audience vibrate at every show. S.H.I.N.E. has hosted the Sunday nicht Jam Sessions of Jazz Manouche in Barcelona’s Pipa Club since 2008. Originally formed in late 2006 by Hernan Senra and Albert Bello in a joint passion for swing music and inspired by artists like Django Reinhardt and Oscar Alemán. Rod joined the band on the double bass in 2011 and together they have recorded the albums “Just a little Swing” (2012), an album showcasing ukuleles, and “When you are smiling” (2015). To this date S.H.I.N.E. 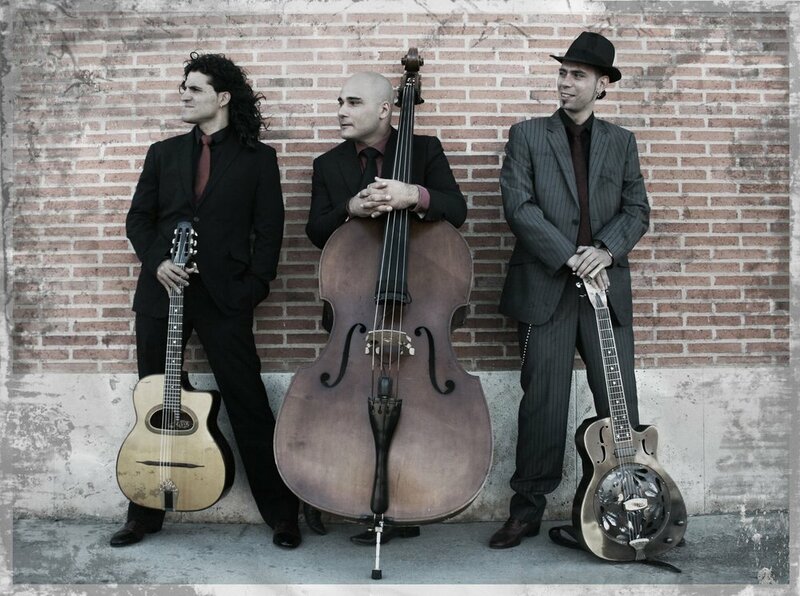 has been one of the groups most representative of swing and jazz manouche in Barcelona. Performing regularly in clubs around the city the trio have coordinated the well known Jazz Manouch Jam Sessions at Pipa Club since 2008. And have played numerous clubs, stages and festivals in Spain, Portugal, United Kingdom, Argentina, Finland, Estonia and Ireland.